The Friday Fun & Easy Landscape Challenge Apr. 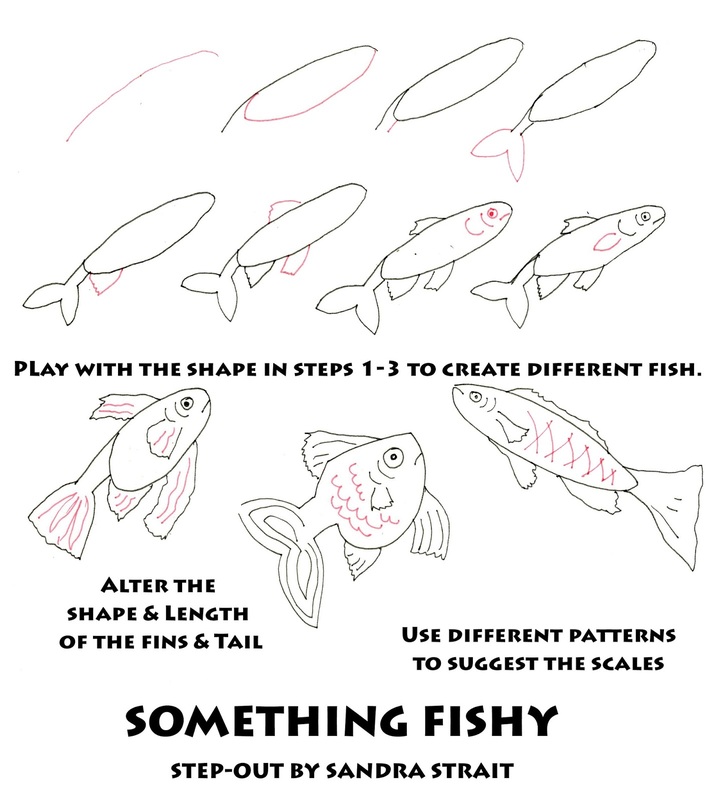 27 – May 3: Draw a landscape using the Something Fishy step-out. Extra calorie-free brownie points for creating your own fish by altering the shape of the body, fins and tails. This week’s step-out comes by a special request for a fish step-out from Victoria Lukens McMillen. There are exceptions, but for the most part fish follow this general pattern of body, tail and four sets of fins. As you can see in the variations, you can create many different fish simply by changing the shapes. 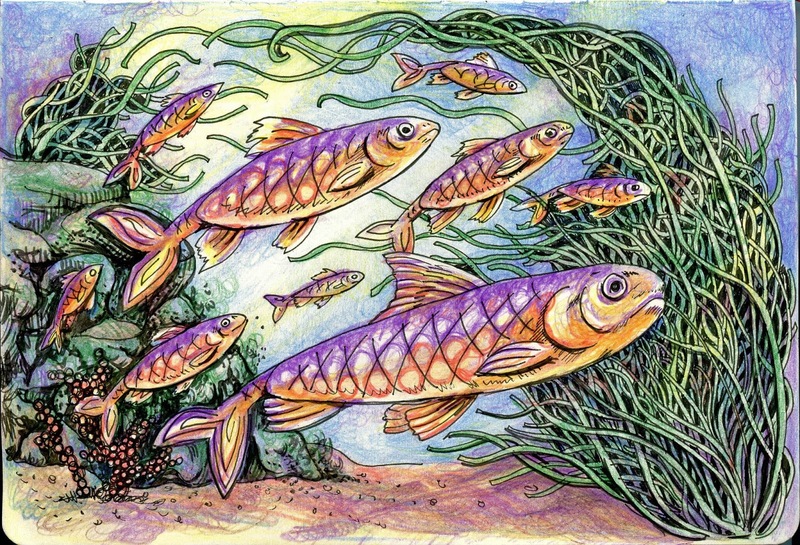 I chose to create a riverscape for my example, but if you want a fish that could be found living on land, give one wings and have flying fish in your garden. It’s your landscape and you can have whatever you want there! This example was done in a Leda Perfect Premium Sketchbook with a Leda Art Supply Mechancial Colored Pencil set, which I’ll be reviewing sometime in the near future.